A bespoke service, tailored to the athletes’ specific circumstances. This may be as simple as a 1:2:1 Analysis with strength, stability and form recommendations for progressively building back mileage after alleviating a chronic condition. It could be as complex as a full rehabilitation programme, managed initially with Clare (Physiotherapist) but leading onto joint sessions with a Soft Tissue Therapist/Coach and a tailored coaching recovery plan. For more complex needs we will always do an initial assessment to confirm costs and outline our proposed approach. Athletes may self-refer, via their club/coach/school or via Clinical referral or recommendation. We will work with referring parties to provide relevant follow up documentation and feedback, all with the athlete’s consent. Our aim is to provide an affordable, highly practical framework of advice, guidance and support necessary to bridge the gap from rehabilitation to competition readiness and ongoing self-management. We have excellent working relationships with key specialisms such as Nutrition, Podiatry and Physiotherapist led Pilates, which can be integrated into a rehabilitation programme if needed. Please contact Mary with your request. Standard 1hr Physiotherapy Appointments with Clare are also available at a cost of £55 first appointment and £50 for follow up appointments. Please contact Clare directly. An innovative approach to managing post-acute phase injury or chronic issues that goes beyond co-locating rehabilitation services. At Inspire2tri, Mary (Director, multi-sports coach & certified NLP Sports Practitioner), Clare (Chartered Physiotherapist with lower limb speciality, post graduate bike fit & injury prevention and practical triathlon coaching experience) and Sheena(Soft Tissue Therapist with previous experience as a Clinical Lead Physiotherapist specialising in orthopaedics) provide a joined-up roadmap specifically focused on re-attaining best Sports Performance in a controlled, low-risk way. By addressing physical and psychological readiness for return to full sports performance, we manage the transition process from “functionally capable” to “sport ready”. This enables the athlete to progress in a motivational way whilst underpinning the process with sound clinical judgement. We also aim to take the uncertainty, stress and guesswork out of recovery or rehabilitation for athletes and coaches. 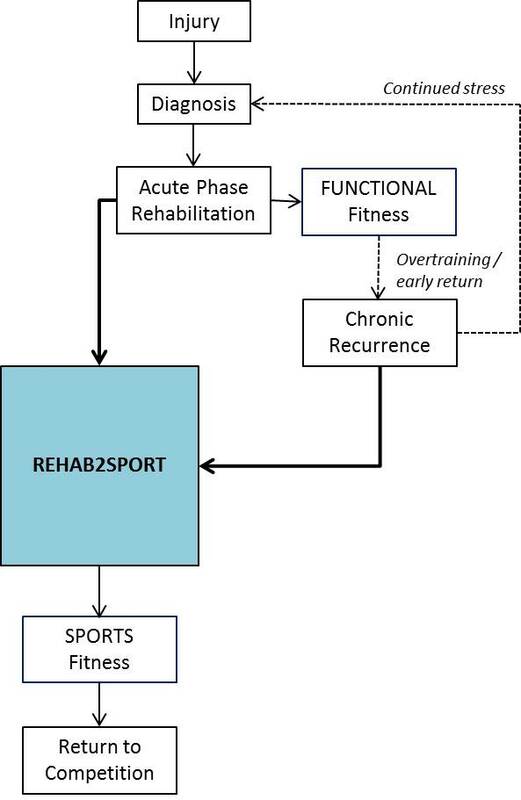 This is an “end-goal” driven approach, with the twin objectives of a successful rehabilitation pathway to minimise the likelihood of recurrence and concurrent education to empower the athlete with the knowledge and resources to manage their continued performance.